I'm at home with my wife for the Holy Week, just being in each other's company and refraining from going out for gimmick. Tomorrow's Easter, and we're having tinola (a soupy chicken dish) for lunch. Happy Easter everyone! Board games played a huge part of my formative years. I remember us visiting our well-off cousins in Aurora Hill, and if we're not spending the afternoon in the playhouse, or visiting the creek, or hunting for clay, we'd be in their living room playing Monopoly. My brother and I also frequented then-Coronado Inn (where Tiong San Bazaar Harisson in Baguio now stands), where we either read comic books or played Game of the Generals, Chinese checkers, or Chess. Scrabble came in a bit later. But of all these board games, I found Chess to be most intriguing. I was in fifth grade when I started playing chess. I read some books on strategy at that time as well, but not to the point that I can recognize signature moves. I played for the simple fun of it. In college, I wasn't able to find time to play chess much anymore. Though I survived for the most part in the online chess tournaments at Yahoo! Games in the mid-90s when I was issued an office laptop which I brought home on weekends. I was excited nonetheless to receive this elegant chess set from Francis Carigma last Christmas. It is so reminiscent of the chess set used by Magneto and Professor Xavier in the first X-Men movie. 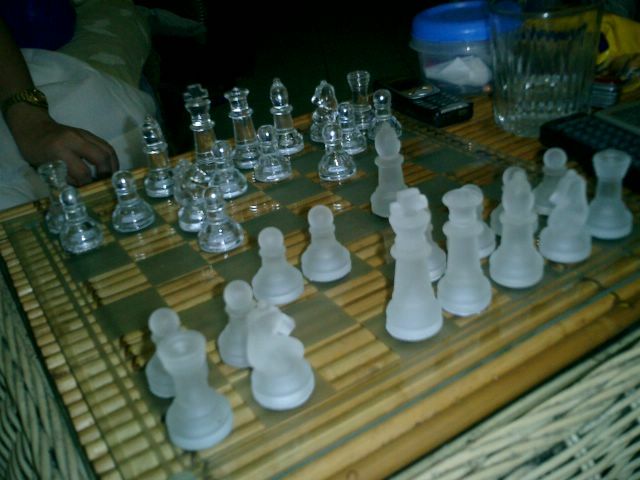 Glass board and chess pieces, with one army frosted and the other transparent. I thought it would be difficult to play on such a set but my wife and I found it to be just right. I saw a variation of this chess set, with one army sporting a black color. But it does not look as nice as this. The black pieces are solid black, and looked too plastic, unfortunately. Had it been made transparent too, with matching black, transparent tiles on the board, it would have made an elegant board. By the way, if you would like to have one of these for yourself or as a gift for a chess enthusiast, I saw some at the men's wallets and belts section of Landmark (ground floor) in Makati. The one I have fills up half the space of our living room table, but there is a smaller, more handy version. They make excellent display items, and for play too! I was a Jedi once. The Republic called upon us to bring order to the galaxy. We defend the oppressed, guide the senate, and champion the cause of the people. It was a relatively peaceful time at Coruscant then. Obi Wan, Anakin and I went to a beerhouse one day. Not exactly to drink beer, but to try out their new videoke bar. Well, ok, we had a couple of barrels. And it is true what they say about knowing the true nature of men when they're drunk, for Anakin suddenly started blabbing about the New Order (and he wasn't referring to the new wave group either) and how he was going to rule over eveything and blast a couple of planets into oblivion. Obi Wan, who has a higher alcohol tolerance, was in his right mind when Anakin was blabbing. So they had a huge huge fight unlike anything Coruscant has ever seen before. Anakin was defeated and because he was ashamed, he hid behind a black mask and black costume to make him look more menacing. And to show Obi Wan he can really do the New Order thing, he did go from planet to planet, conquering them. Though I think he still has a soft side underneath that hard exterior. A couple of ewoks can be seen frolicking in his chambers. I think he likes teddy bears. He is even reputed to be building a Death Star near the forest moon of Endor, the Ewoks' home. The directors in Coruscant got so inspired by this story that they will be releasing a movie about it this coming May. Anakin, who now goes by the name of Darth Vader, however, insisted on being part of the cast as the lead role no less or else feel the destruction wrought by the fully armed and operational battle station. Well, anyhow, I got disillusioned by this Jedi thing. You cannot love, and you must not let emotions get in the way. Look at Obi Wan, he now lives in isolation, keeping close watch at Luke Skywalker growing up in the planet of Tatooine. I don't think I can do that. So I left the Jedi Order, got married, and settled far from the Republic, into my little space called Office Cubicle. But I still muse about my past life. It's still kinda cool having Jedi powers, though. I can make the remote glide to me while watching TV on weekends, for example. I was pleasantly surprised when I received an invitation to join a mailing list a little over a month back. Surprised because inspite of the fact that I share personal things in my blogs, I am quite reserved in person. I'd be the one you would least likely notice in gatherings, as I prefer sitting it out, smiling and laughing, and would gratefully have a bottle of beer to chug occasionally. So I really didn't think I made a lasting impression with my peers when we had our first ever bloggers' EB last December. Although I did meet a lot of nice people, and got to further expand the blogs I visit. Yet I have to say, joining blogkadahan is one of the nicest things that has happened to me blogging-wise since the party. Each member has posted a bit about themselves, and are now in the second phase of posting about their first true love! And I can't tell you enough about how rambunctious and fun it has been in the mailing list. To top it all, blogkadahan (whose posts are mostly written in Filipino) is represented by Filipinos living in different areas of the globe, giving us fresh insights in how it is to live in other countries through their blogs, and how proudly Filipino they still are in their humor, food, and life. I have included a list of member blogs in blogkadahan at the right panel as well. Do visit blogkadahan, revel in being Filipino and celebrate life with us. I have been renting out an apartment for the longest time now, and I have been wondering when I can get a place of my own for my family. I have always desired to live in a place where there the busy city life won't be so evident. We have previously been scouting for a place in Laguna, but we had to stop looking temporarily as there are expenses that need our attention in the very near future. Guess you really can't have everything you want, huh? Pardon me for this 'rainy' post. I was about to entitle this "A Series of Unfortunate Events", because it is. But it might be mistaken for a review of the movie that's showing this week (my wife and I watched this last week, and we enjoyed it, by the way). Hence the equally-appropriate title. My series of unfortunate events started happening yesterday afternoon, when I suddenly rose from my chair here in the office then 'wham!'. My mobile phone flew off its belt compartment. Which made me wonder why it would do so, especially since I was quite sure that the velcro covering was strapped quite strongly. And horror of all horrors, the screen display cracked! They said it will cost me around 9,000 pesos to have the thing repaired! Aaargh. Anyways, I was rushing here and there because we were in the midst of event preparations for today til Thursday. We met our forgeign principals, and then we did occular inspections. Oakwood Premier turned out ok, but when we got to Makati Shangri-La, we had to wait for over half an hour to have the function room opened, and when they finally did, the room was a complete mess! They haven't fixed it up yet. 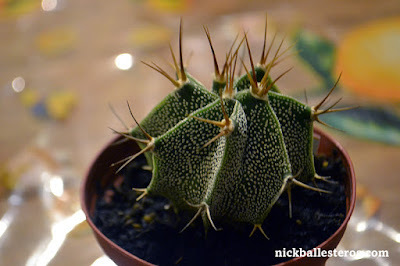 Our guests took it good-naturedly, but it was definitely what I did not have in mind. Then this morning, I got up early and proceeded to the shower room. What the ... the light's busted! I had to take my bath by candle light. And then in the middle of my bath, water ran out! Somebody had to turn on the water tank, and eventually I was able to finish. And then I was supposed to wear my green barong, only to learn that it was not washed yet. So I wore something else instead. I decided not to drive because of these series of unfortunate events. I started receiving calls a little past 8. Our CEO and COO are already in the venue, and we haven't set-up registration yet. Good thing Pauline and company were on their way already. So I got to the office, printed out some materials needed for the event, then got there before the morning break. When I got back to the office this afternoon, my laptop wouldn't work! After the check-up, our IT Admin declared that it needed re-formatting. Great. And here I am, writing this nice piece of work before I go home. I think I'm coming down with a fever. I had been asking for permission to go home early but I realized I can't. Got lots to do. I might be taking a sick leave tomorrow. If you'll be looking for me then, I'll be in bed, beside my beaten down mobile phone and laptop. 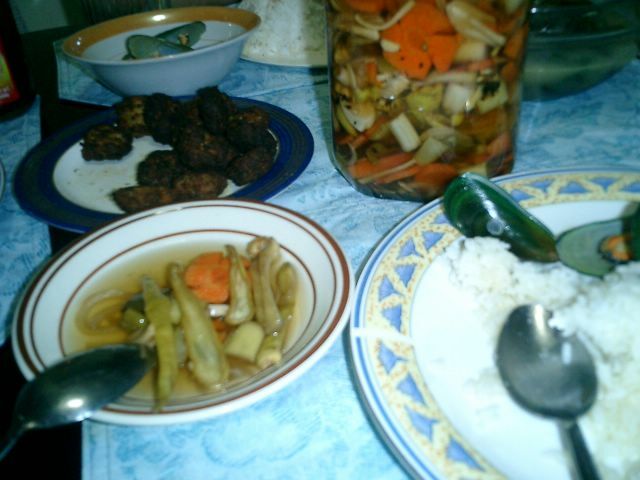 During the latter part of my high school years, a friend and I made atcharang sili (pickled pepper) in our home. We'd let it "cook" for less than a week, then we'd munch on the green pepper, whose spiciness has mellowed a bit, and with a good measure of sweet and sour mixed in. The recipe was lost in time, for I think we only made around 8 jars between us, then they transferred to another place. And that was that. I was reminded of this pickled delight late last year, and so I asked around for someone who knew how to do it. Since there was a number of food bloggers at blogkadahan, I ventured a question. And a recipe was thus provided by Romesez. I knew I just had to try the recipe. It was quite simple, really. Chop the ingredients, taste the vinegar-sugar-salt mixture to your preference, mix 'em all up, then let it sit for about a week. I bought the ingredients last Saturday with my wife. However, we cannot find any baby onions. A search in the local market yielded the same result. Incidentally, my mother in law arrived very early this morning. She came here to meet her son who has just arrived from abroad. But I think they made arrangements for him to visit us here instead of us going to Batangas, so they started making fresh lumpia (wrapped vegetables -- is my translation correct? harhar)and potato salad for tomorrow. And while they cut and diced the vegetables, I also joined in the fun in making the atchara. 2 medium Onions - baby onions preferred. but as substitute, we sliced medium, red onions. Crying is optional. Chopping the vegetables took some time to do. Because I insisted to do it alone because they were cooking other dishes. But our household help proceeded to slice the green pepper and remove the seeds. This resulted in hot, aching hands hours after the chore was done. In a pan over moderate heat, pour the cane vinegar. Add the black pepper, salt and sugar. Mix and taste to your preference. This was rather difficult because the cane vinegar was strong! I couldn't detect the taste of the sugar. My in-law took a sample, sprinkled some more salt, and said it's ok. She said you have to smell it as well to detect the sugar. I did, and the strong vinegary smell overwhelmed my sense of smell and almost made me sneeze. Hmmmm. After bringing this mixture to a boil, turn of the heat to let it cool down. This took a couple of hours, so I spent it eating fresh lumpia and playing Final Fantasy X. Afterwards, the rest of the chopped vegetables were added. It looked like chop suey (mixed fried vegetables), actually. Put this mixture into glass jars. My in-law said it's ready to eat! And it lasts longer than the method I knew. I think I'll wait for a couple of days to taste it so that the green pepper has absorbed the sweet and sour mix. I would like to thank Romesez and Blogkadahan for sharing their insights, my mother-in-law for giving the recipe a new twist, and to our household help Babylyn for cleaning up the green pepper! Update on Wednesday! There were five of us in the family: three boys and two girls. And as such, there weren't a lot of playthings in the house. There are other priorities that the family fund has to be channeled to, like food and education. Not that I'm complaining. This actually spurned our creativity and imagination early on, and we'd convert simple, everyday things such as empty matchboxes and boards into cars and tents. I remember we had this sawing machine which you pedal to make it run. My sister loved making toy houses and sew sofas, pillows, and beds. And we'd help out make cardboard furniture and appliances. It was fun! At any rate, I'd also spend time each day staring at the display window of this chic toy shop at then-SkyWorld Condominium in Baguio City. My childhood years was filledwith anime (Japanese animation) which involved one robot or another. There was also the sentai and lots of cool weekend shows. After the Voltes V and Daimos era, there was Macross, then Bioman, Transformers, and a slew of more action shows targetting the kids' imagination. It became an ungranted childhood wish for me to have these toys. So when I finally settled in Manila and found a stable job, my passion for having these treasures from my childhood returned. My quest has led me to lots of specialty shops, toy conventions, and even in online bidding. I learned the lingo of toy collectors (what is meant by mint-in-box?). Along the way I met lots of friends and acquaintances. Some of my office colleagues even occasionally joined me in these quests. This happened mid-to-late 90s. I have finally slowed down, just getting one or two toys or scale models in a year. Our apartment is testament to those youthful years of toy hunting. I have a display cabinet showcasing Japanese toys (plastics, scale models, and die casts). My collection includes the original die-cast Voltes V of the 70s with boxes, two Mazinger Zs, four die-cast Macross and Transformer planes, Transformers, a 45 RPM vinyl record of Voltes V, and lots of posters. I have lots of toys at home that you can see one nearly everywhere! On top of the TV, on the walls, on top of cabinets, and inside as well. Guests usually ask where the kids are when they visit.